Humble Indie Bundle update: now with new games! Remember Oddworld: Abe’s Odyssey? 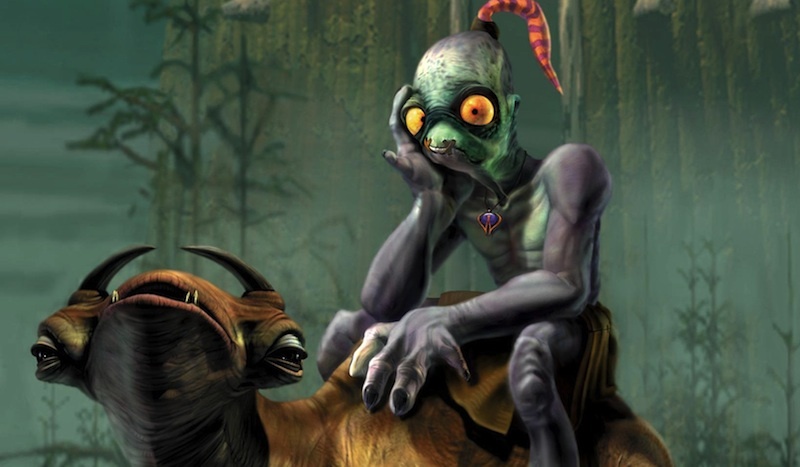 The developers, Oddworld Inhabitants, were working on a HD version of that classic title to re-introduce everyone’s favorite slave, Abe, to the world. Then, while working on this updated version, they decided to forget the whole thing and make a brand new game. Since Oddworld Inhabitants used the term “reboot,” I’m led to believe that this will serve to restart the entire franchise. Does that mean we’ll get reboots of the less popular Munch and the slightly more popular Stranger? No one knows! But as a fan of the world Oddworld Inhabitants created, I have to admit I’m pleased they’re making games again at all. Their last title, Stranger’s Wrath, released back in 2005. For those keeping score at home, that’s over 3400 years ago in video game years. No platforms have yet been announced for the Oddworld reboot, but PS3 and Xbox 360 are a safe bet. I have never really played any of these title, and when I did get my hands on them, they never did anything for me. MAYBE I AM WEIRD.